Vivo has confirmed to launch a new V series smartphone in India on February 20. Rumours suggest that the phone is going to be the V15 Pro which will succeed the V11 Pro. Vivo India is yet to confirm the name of the upcoming V series phone. Several media reports suggest that the V15 Pro will come with pop-up selfie camera which will include a 32MP sensor for clicking selfies. The pop-up camera will be positioned on the right side of the phone, unlike the Vivo NEX which included the camera on the left. The Vivo V15 Pro is said to break boundaries and bring innovation to the masses. Ahead of the launch, a live picture of the V15 Pro has been leaked and alongside that the full specifications and expected India price of the phone has also been surfaced online. The Vivo V15 Pro is expected to be a much-improved version of the V11 Pro which was launched in India last year around September. The V11 Pro was launched for Rs 25,990. Now ahead of the V15 Pro launch Vivo has reduced the price of the V11 Pro by Rs 2,000. The phone now costs Rs 23,990. Rumours suggest that the V15 Pro India price could be between Rs 25,000 and Rs 30,000. Vivo is yet to officially reveal the pricing details of the V15 Pro. The image of the V15 Pro was obtained by 91mobiles. 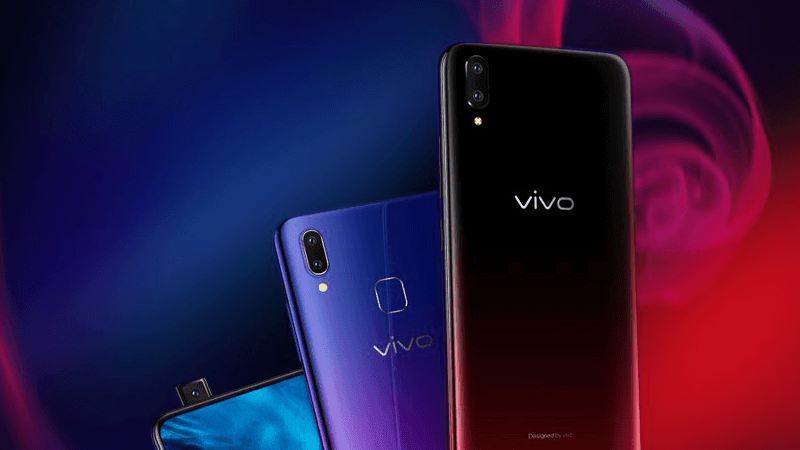 The Vivo V15 Pro’s full spec-sheet has been leaked ahead of launch. The phone has also been spotted on Geekbench site which revealed more details about the handset. The Vivo V15 will come with a bigger screen when compared to the V11 Pro which had a 6.41-inch Super AMOLED display with an aspect ratio of 19:9. Hardware powering the V15 Pro will be much powerful than the one found inside the V11 Pro. Like the V11 Pro, the new V15 Pro will also come with in-display fingerprint sensor technology. The phone will also include face unlock support. The V11 Pro is powered by Snapdragon 660 AIE chipset, but the V15 Pro is expected to come with Snapdragon 675 chipset. The Geekbench listing also reveals the same details about the chipset powering the Vivo V15 Pro. On the software front, the Vivo phone may be launched running on Android 9 Pie based on the company’s own Funtouch OS. On the camera front too, the Vivo V15 Pro will offer much more than the V11 Pro. The Vivo V15 Pro is expected to come with three cameras on the back panel while on the front the phone will supposedly include a single pop-up camera. On the front, the Vivo v15 Pro is said to sport a 32MP camera sensor. On the rear panel, the V15 Pro is tipped to sport a primary camera of 48MP, a secondary camera of 8MP and the third camera of a 5MP sensor. Furthermore, like the Vivo V11 Pro, the upcoming V15 Pro will come in only one variant with 6GB RAM and 64GB storage which can be expanded via microSD card. Worthless crap V15 pro because it does not have OIS for rear and AF OIS for front camera. Even a beggar will not buy this phone.